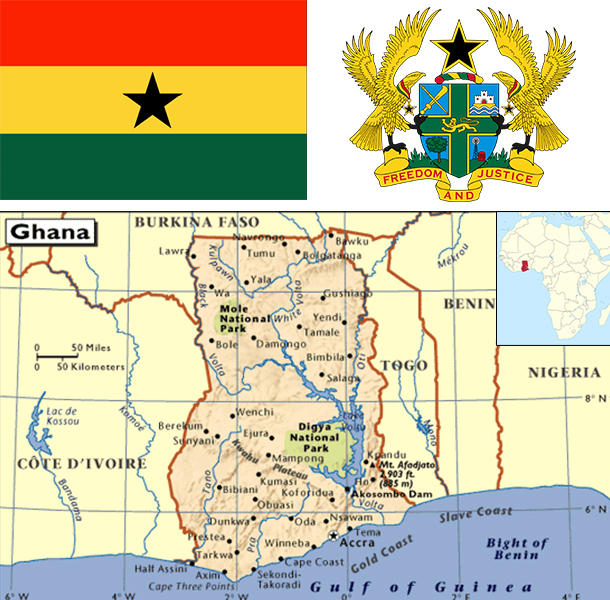 Ghana's economy was strengthened by a quarter century of relatively sound management, a competitive business environment, and sustained reductions in poverty levels, but in recent years has suffered the consequences of loose fiscal policy, high budget and current account deficits, and a depreciating currency. Ghana has a market-based economy with relatively few policy barriers to trade and investment in comparison with other countries in the region. Ghana is well-endowed with natural resources. Agriculture accounts for nearly one-quarter of GDP and employs more than half of the workforce, mainly small landholders. The services sector accounts for about half of GDP. Gold and cocoa exports, and individual remittances, are major sources of foreign exchange. Expansion of Ghana’s nascent oil industry has boosted economic growth, but the recent oil price crash has reduced by half Ghana’s 2015 anticipated oil revenue. Production at Jubilee, Ghana's offshore oil field, began in mid-December 2010 and currently produces roughly 110,000 barrels per day. The country’s first gas processing plant at Atubao is also producing natural gas from the Jubilee field, providing power to several of Ghana’s thermal power plants. As of 2015, the biggest single economic issue is the lack of consistent electricity. While the MAHAMA administration is taking steps to improve the situation, it will be the third or fourth quarter of 2015 before any relief is visible. Ghana signed a $920 million extended credit facility with the IMF in April, 2015 to help it address its growing economic crisis. The IMF fiscal targets will require Ghana to reduce the fiscal deficit by cutting subsidies, decreasing the bloated public sector wage bill, strengthening revenue administration, and increasing revenues. The challenge for Ghana will come as the MAHAMA Administration approaches the 2016 election cycle facing public dissatisfaction in the midst of economic austerity.